Eels are recognised as relatively long-lived fish, maturing at 8 to 20+ years of age. Shortfinned eels are the most abundant and the most keenly targeted eel species in Victoria. In addition to taking adult eels for sale, the Victorian professional fishery also takes juveniles from the wild and on-grows them within confined lakes and impoundments (culture waters) before harvesting them as adults. Productivity from the fishery is highly susceptible to short and long term and seasonal environmental variations, particularly drought. Longfinned eels are harvested from the eastern half of Victoria and there is no restocking of this species into culture waters. Most of Victoria’s eel catch is taken by professional fishers and is comprised of adult eels during different phases of their migration. Currently there are no eels being on-grown in intensive aquaculture facilities. During periods of drought, the Victorian Eel fishery has been significantly affected with catch typically declining and culture waters drying out completely. Where is the eel fishery? Most rivers, creeks, lakes, dams and swamps on public land south of the Great Dividing Range are open to commercial eel fishing (some waters are closed as per the Eel Fishery Management Plan). Short-finned eels are found throughout the State, but long-finned eels are only found in eastern Victoria. Fyke nets are a series of net barrels with open wings at the entrance to direct fish into the barrels. The nets are staked at three points to keep it in place and to ensure the wings direct the fish into the barrel. Once the fish have swum into the barrels they are unable to swim back out. 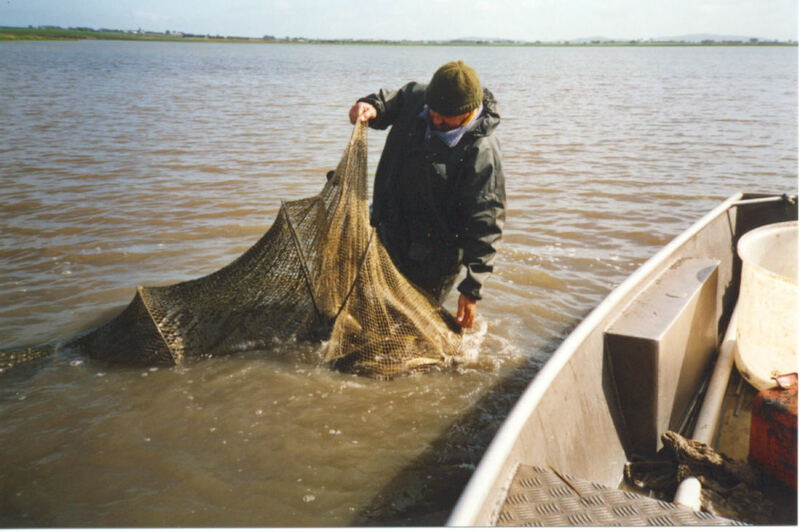 Fyke nets catch any species of fish, however they are very low impact as the fish trapped are not damaged and can be released with no hard done. They are not tangled in any mesh and are not suffocated by disturbed water meaning any by-catch can be released alive. How is the eel fishery managed? No minimum lengths or closed season exists for the eel fishery in Victoria. As the life history of the eel is complicated it is difficult to manage the fishery through TACC’s based on stock assessments. The fishery is managed by input controls. An Eel Fishery Access Licence (EFAL) is required to take eels or use commercial eel fishing equipment in coastal rivers and streams. EFAL are capped at 18. Restrictions on mesh sizes of fyke nets are also in place. ​In 2017 the Victorian Eel Fishery Management Plan was development by a Steering Committee of the Victorian Fisheries Authority, which was subsequently declared by the Minister for Agriculture. The sustainability of the eel fishery is dependent on allowing for the escapement of a sufficient number of adult eels during their migration and subsequent recruitment of juveniles into waterways to grow. 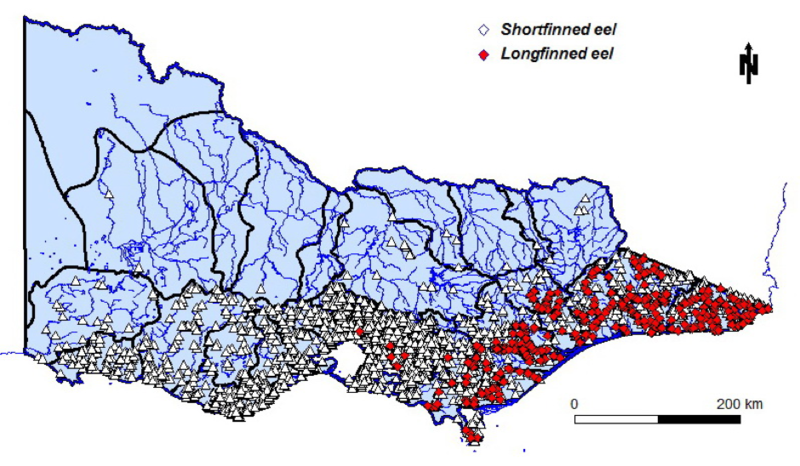 The ensure the fishery remains sustainable, the 2017 Eel Fishery Management Plan establishes mechanisms to keep at least 30% of all Victorian connected rivers, creeks and streams with a common mouth opening to the sea, including their branches or tributaries, whether or not on private property, closed to professional eel fishing.